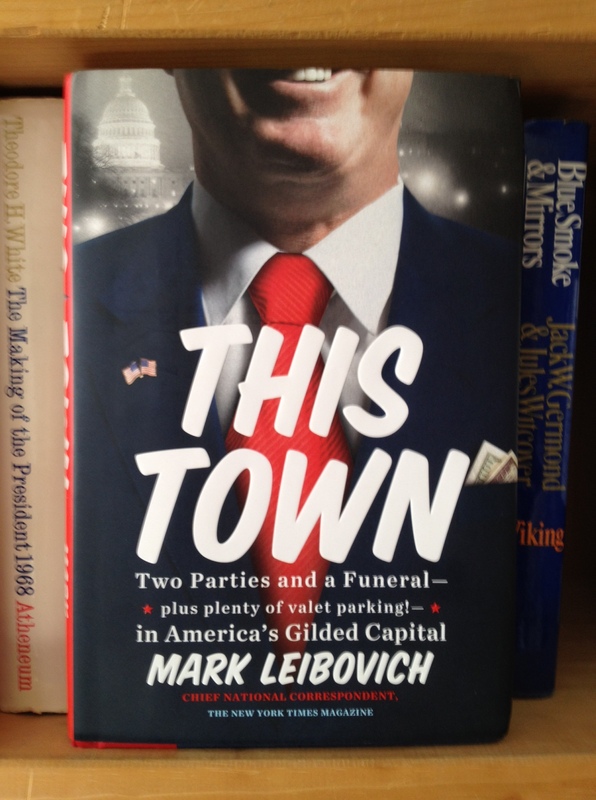 I just finished reading Mark Leibovich’s This Town (2013), a bestselling “insider” look at political life in the nation’s capital. It’s bitingly funny at times, as one might expect such a book to be, and it provides a fix for recovering political junkies like me. It’s also a reminder of a path I chose not to take. You see, reading about politics is a far cry from my aspirations of decades ago, when I was an ambitious student government pol in college and planned to go to law school as a springboard into the real thing. As an undergraduate at Valparaiso University in Indiana, I was elected to various student senate positions, and I volunteered regularly for political campaigns. I managed a successful upset campaign for a town board seat in northwest Indiana, and I served as an area coordinator for the 1980 independent presidential run of John B. Anderson. Of course, I also was a political science major, and it so happened that the poli sci department at Valparaiso was comprised of dedicated teachers who stoked my fascination with politics. In particular, Professor James Combs, quite the political junkie himself, was teaching and writing up a storm about political communications, which played right into my obsession with campaigns and elections. But some 23 years ago, I stumbled my way into teaching. I returned to my legal alma mater, New York University, as an entry-level instructor in its innovative Lawyering skills program for first-year law students. I knew immediately that I enjoyed being an educator, and that experience turned out to be the start of an academic career. In fact, I’m now in my 20th year of teaching at Suffolk University Law School in Boston. Today, I’m hardly removed from politics. My work in drafting and advocating for workplace bullying legislation puts me in regular contact with legislators and their staffs. Two years ago I finished a term as board chair of Americans for Democratic Action, a liberal policy advocacy organization based in D.C. And though my politicking these days is limited primarily to occasional campaign contributions, I follow electoral politics fairly closely. But the world portrayed in Leibovich’s This Town, however embellished to attract more readers, is not for me. There are a lot of good, honorable people in politics, a fact we dismiss too easily in this cynical age. But politics is a bloodsport, and it requires a certain dispositional DNA to play the game for the long term without it becoming debilitating. When I think back to my collegiate ambitions, I now understand that I enjoyed reading and writing about politics more than being in the thicket of political life, even as the latter appealed more directly to my ego and insecurities at the time. Okay, so the world of academe is hardly apolitical, and it can get as petty and nasty as any political brawl. (I sometimes quip that the real untold Biblical story is how God banished Adam & Eve to a faculty meeting as punishment for their transgressions.) That said, the focus of academic work itself is more on teaching, writing, and public education, and that’s more to my liking than the day-to-day work of political life. Still, please do excuse me if I get a little charged every four years over news coverage about the Iowa caucuses or the New Hampshire primary. It remains neat stuff to me, albeit from a distance.